One of the standout landmarks along Tioga Road is the beautiful Tenaya Lake. Surrounded by bare granite peaks in all directions, from Tenaya Peak to the east to Polly Dome and Pywiack Dome to the north, Tenaya Lake tempts all tourists driving by to pull over and relax for a bit. Located roughly 2 miles east of Olmsted Point (32 miles east of the junction with Big Oak Flat Road and 16 miles west of the Tioga Pass entrance), several roadside parking areas provide access to different sides of the lake. 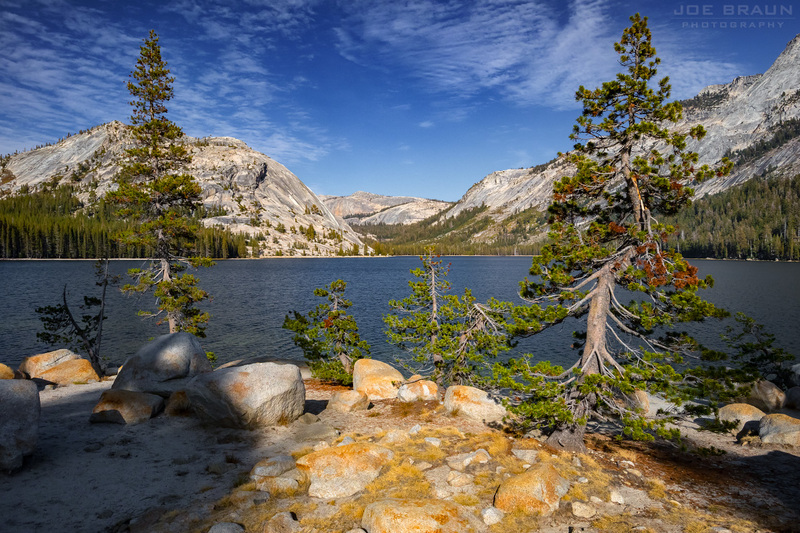 Whether you want to take a stroll along the shore, have a relaxing picnic along the shore, or go kayaking, Tenaya Lake is one of the "jewels of the high country." 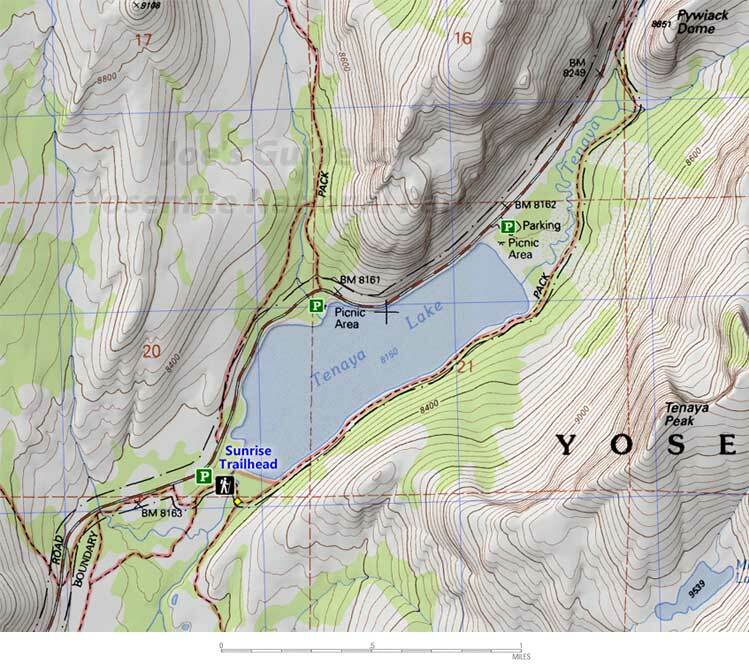 There are several distinct parking areas along Tenaya Lake, the southern parking area (Sunrise Trailhead), the middle picnic area, and the northing picnic area near the larger beach at the north shore. During the warm summer months, this area can get quite busy and all of these parking lots fill up, but roadside parking is also available north and south of the lake. Please make sure that your car is completely out of the road and obey all "no parking" signs. The picnic areas have a few tables, but if they fill up, many spots right along the water's edge are perfect for relaxing. Aside from sunbathing, taking a stroll along the east side of Tenaya Lake is a pleasant activity as is kayaking, but no kayaking is permitted in Tenaya Creek. (A campground was located along the southwest shore, but that was closed in 1992.) As this area is a very popular tourist spot, please remember to pack out all garbage and leave things as clean as possible for the next people to enjoy.